Cats DO find the most unusual places! He’d grown too fond of sleeping on top of my workout clothes and so after I discovered him napping on them yet again, I searched for an alternative. 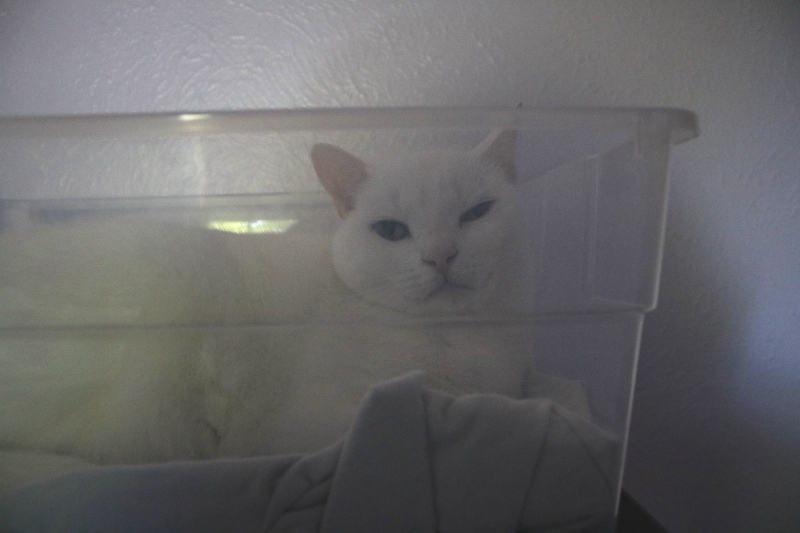 I found this plastic bin and lined it with one of my old T-shirts, and now he’s a happy cat. And I’m a happy human.